Hello everybody! I am so excited to be hosting Doll Camp over at Kait’sAGCrafts this week! 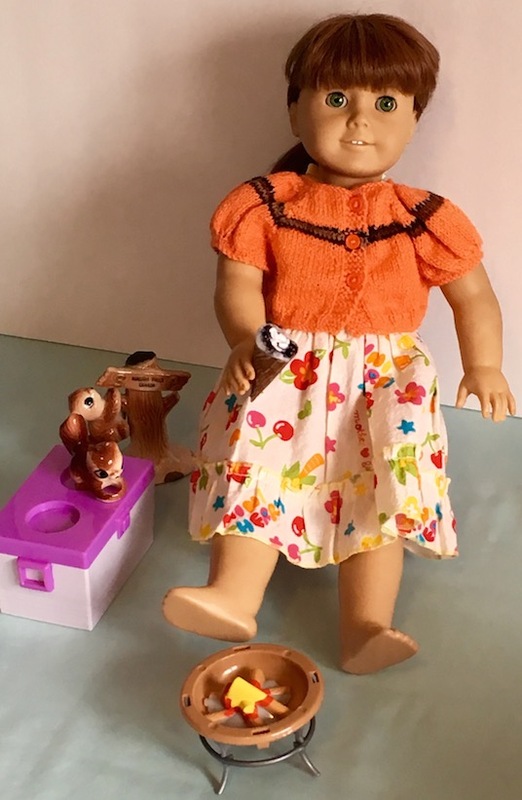 Be sure to check out all of the other cool crafts that she has been featuring for Doll Camp this summer already! 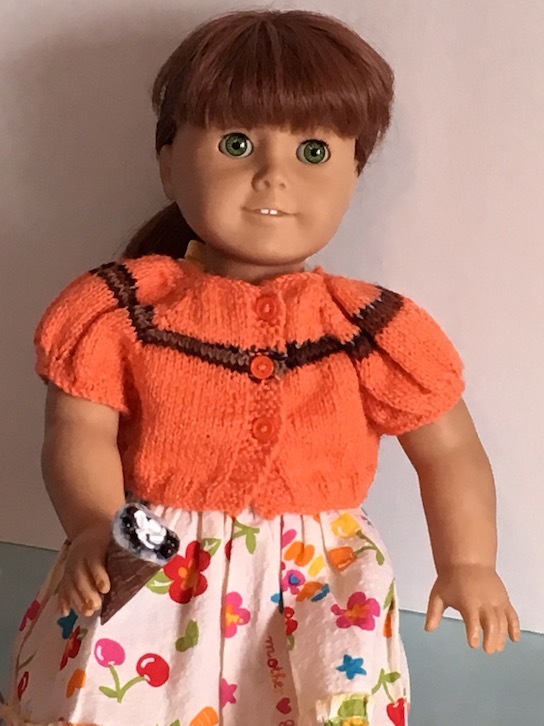 Also, there are still some spots available, so if you haven’t already, and you would really like to host a week of doll craft camp, you can sign up here! I thought that we would start off the week with something that we really enjoy! S’mores! 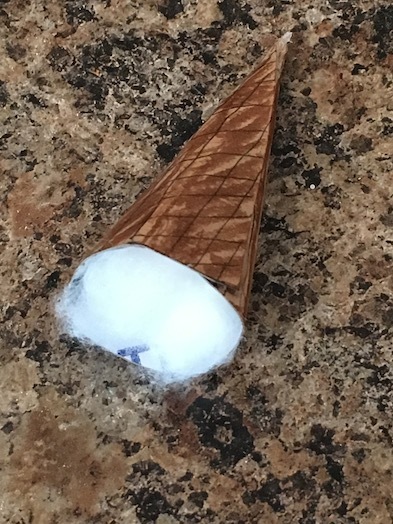 And what better way for our dolls to enjoy their s’mores than in a cone! 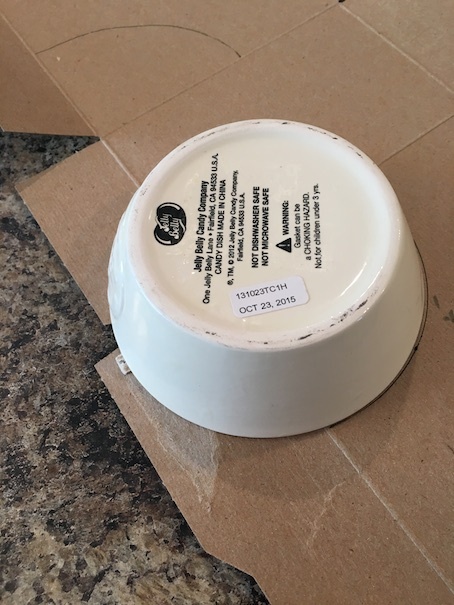 Start by taking your bowl or plastic container and placing it at one of the corners of your packaging. Trace it so that the lines as well as the curve create a triangular shape. 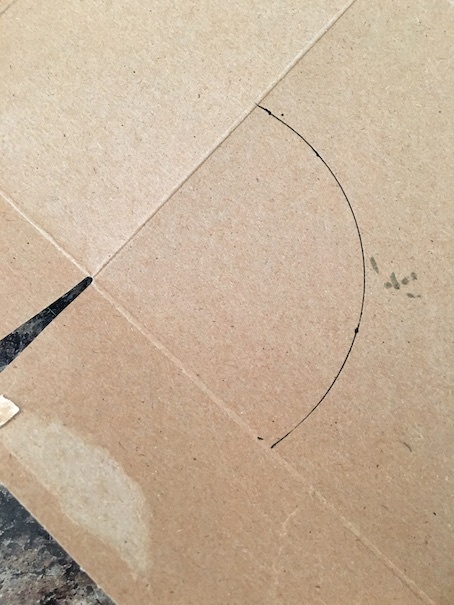 I like to use the corner edge of my packaging just because then I know that it is straight. 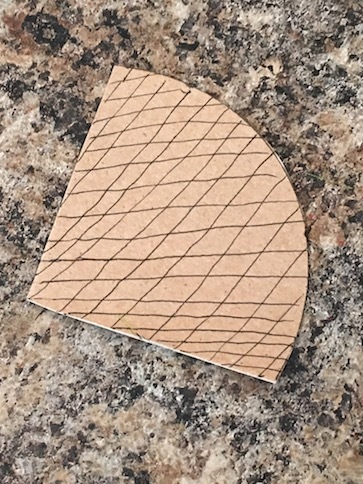 You can also trace the bowl edge onto the corner of a piece of paper to keep as a stencil. That way you can make as many as you want the same size. Cut out your cone. Draw a pattern on it if you like. This is optional. I also coloured mine with a brown felt marker, but you don’t have to. 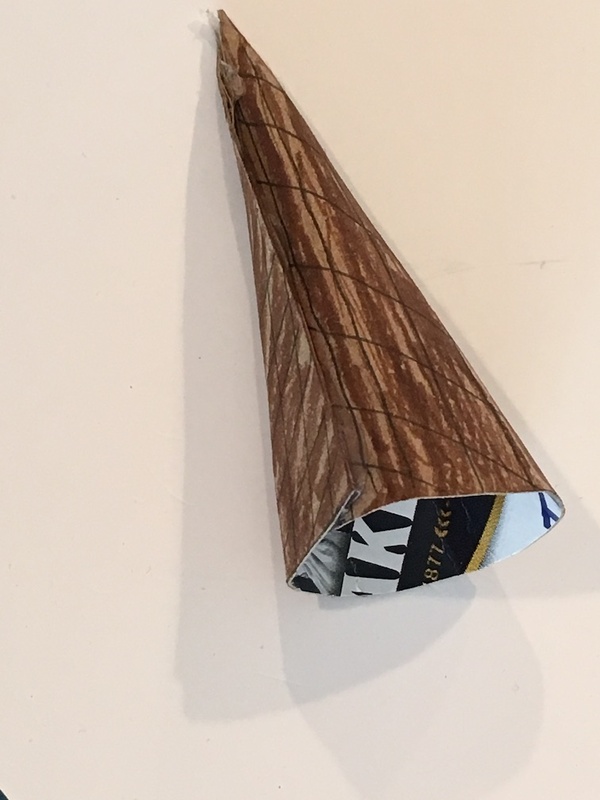 Roll your cone, and hot glue it closed. Add the chocolate chips. 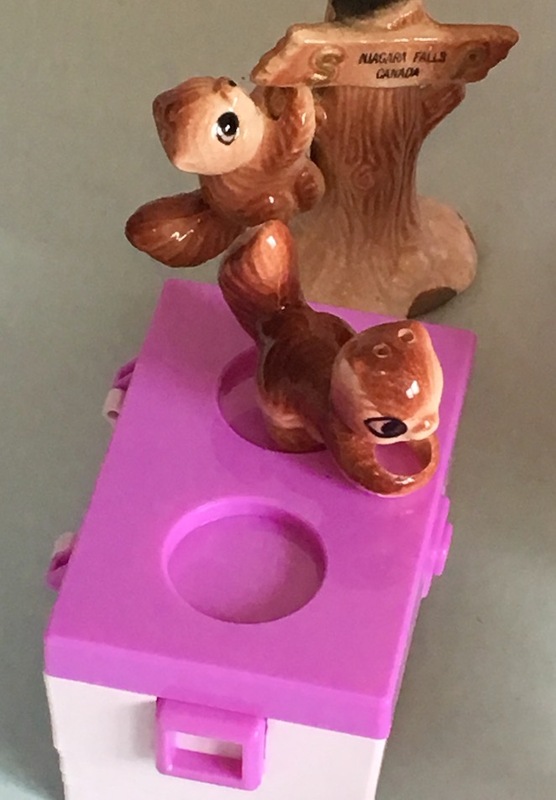 I used brown beads. If you don’t have beads, you can hole punch some chocolate chips out of brown craft foam. Do you like s’mores? 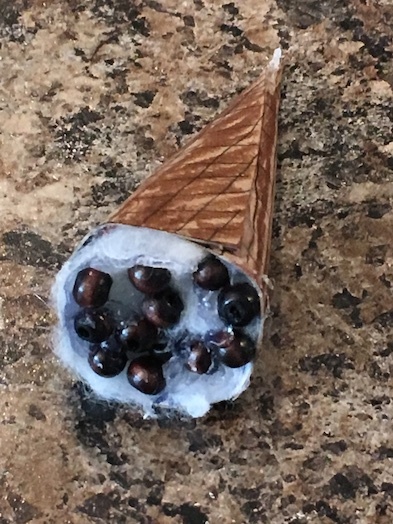 Have you ever had them in a cone? 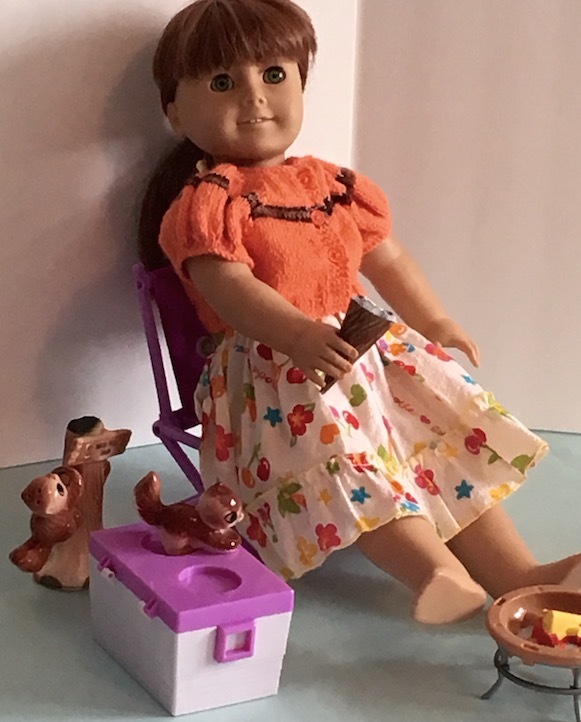 Stay tuned for more great doll camp crafts all week long! Cute idea! 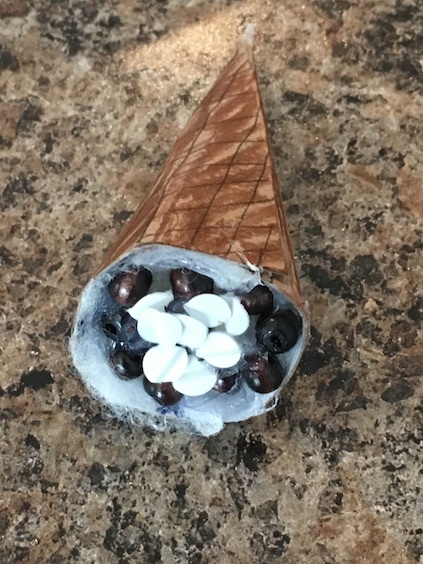 A s’mores cone.